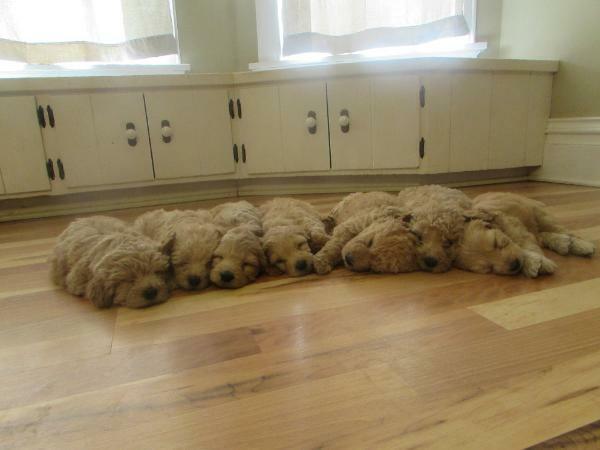 Our F1-B Petite Labradoodles will grow to be between 20-24 pounds. 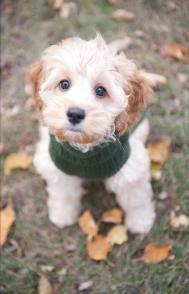 than our Mini's Labradoodles and even less likely to shed or cause allergy issues. 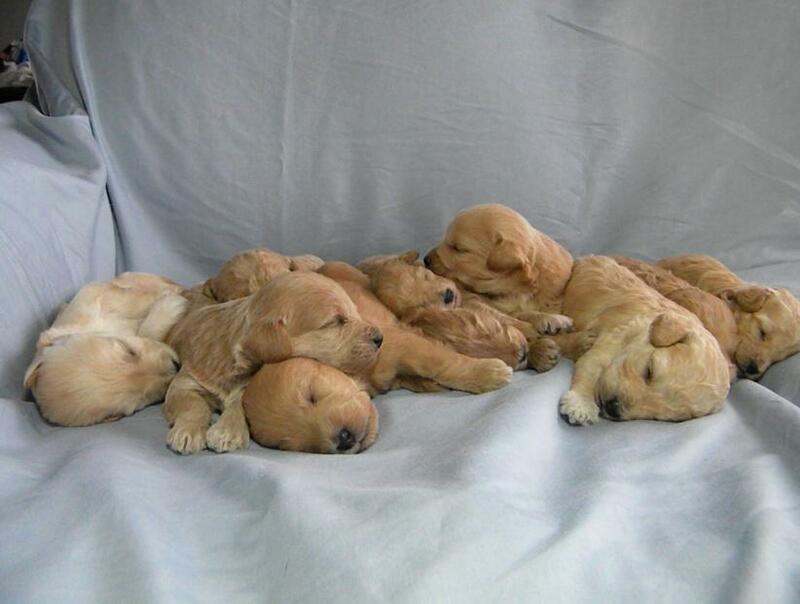 For more information on how to reserve your puppy please see our FAQ's page. 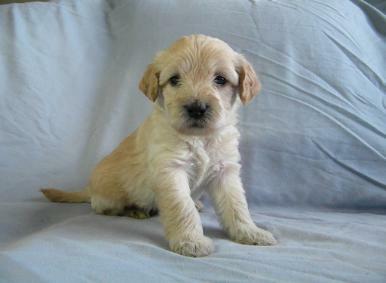 Our F1-B Petite Labradoodles sell for $2000. ©2010-2016 All images and text is the copyrighted material of Queen of the Hill Puppies, LLC. 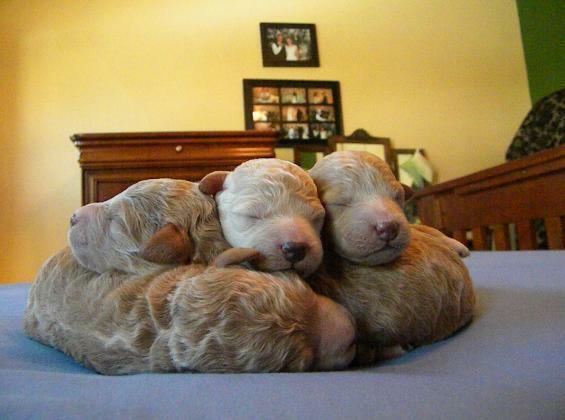 Click here to view Bree and O'Reilly's litter of F1B Petite Labradoodles born on June 4th, 2014. 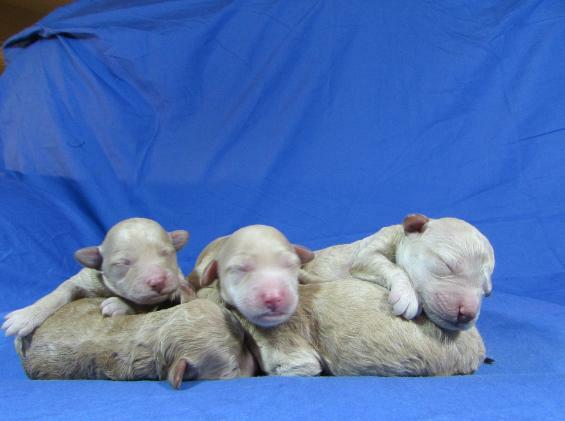 Click here to view Bree and O'Reilly's litter of F1B Petite Labradoodles born on Sept. 14th, 2013. 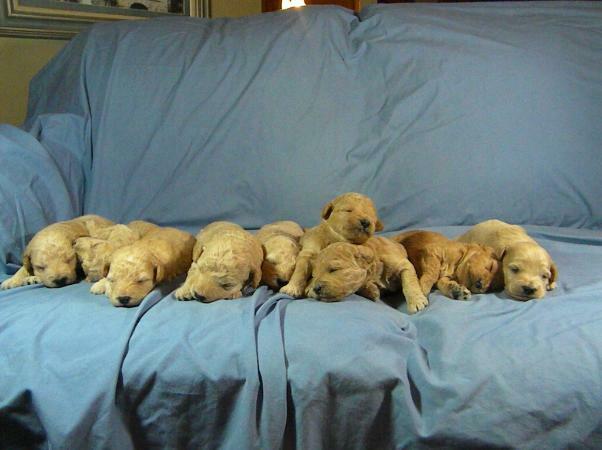 Click here to view Bree and O'Reilly's litter of F1B Petite Labradoodles born on August 20th, 2015. 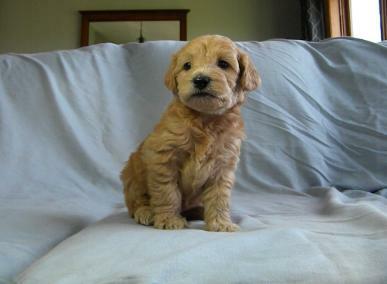 At 5 1/2 weeks old. Indiana, Michigan, New York, California, Florida, Washington, Oregon, Kentucky, Tennessee and Texas. Dallas airport. Please inquire if you have questions about shipping via air. 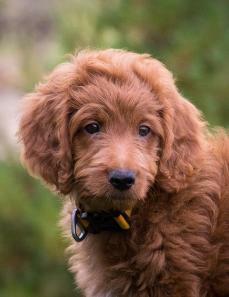 Please buy from a responsible breeder who raises health tested, quality breeding dogs in their homes, as their pets. Bree and O'Reilly will be bred in May, 2019. The puppies will be born in July, 2019. They will then be ready for their homes in March, 2019. 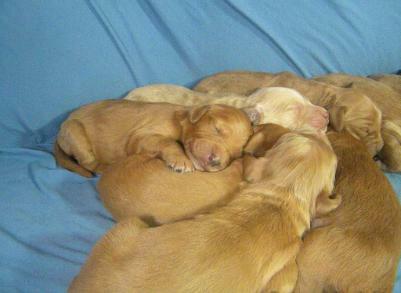 We currently have 0 deposits for this litter. Bree and O'Reilly welcomed a litter of 10 puppies on May 20th, 2018. The puppies are available to go to their new homes now!! 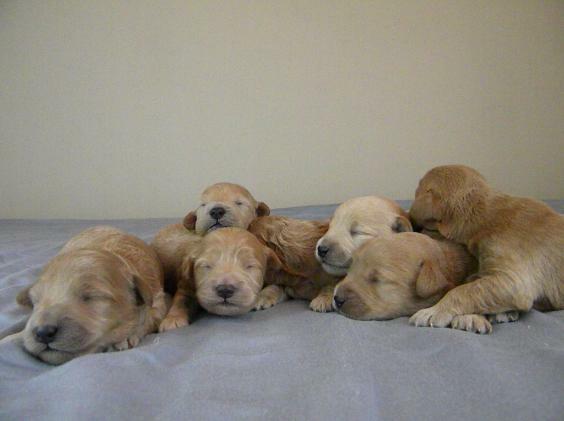 Lord of the Rings, so for this litter, we decided to name this litter after characters from Lord of the Rings. 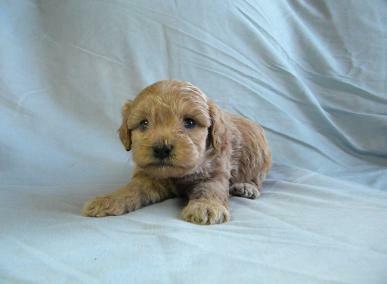 Gender: Male Weight (at 4 1/2 weeks old): 2 lbs 1 oz. 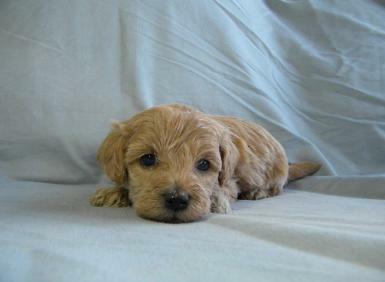 Gender: Male Weight (at 4 1/2 weeks old): 2 lbs 10 oz. a soft and fluffy coat. CLICK HERE TO VIEW VIDEO!! CLICK HERE TO VIEW NEW VIDEO!! 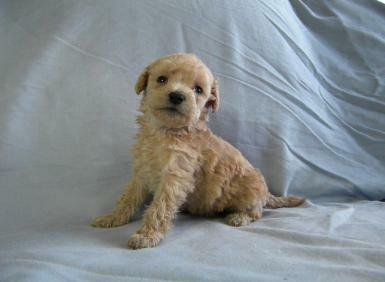 Gender: Male Weight (at 4 1/2 weeks old): 2 lbs 5 oz. coat. 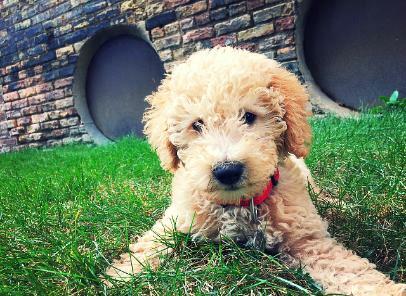 He has a medium amount of energy and likes to play. soft cuddle buddy for when the playing is done. Gender: Female Weight (at 4 1/2 weeks old): 1 lb 14 oz. with rope toys and someone to play with her and her toys. She has strawberry blonde highlights and a white chest. 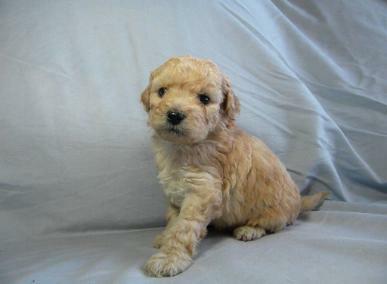 Gender: Male Weight (at 4 1/2 weeks old): 2 lbs 8 oz. 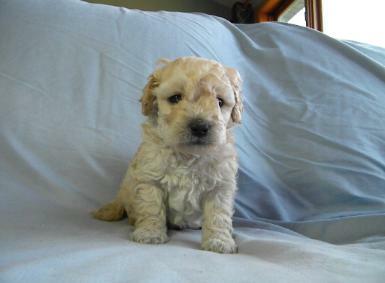 Gender: Female Weight (at 4 1/2 weeks old): 1 lb 0 oz. sure. Eowyn is very friendly and outgoing. size, and not wanting to stress her body at a young age. 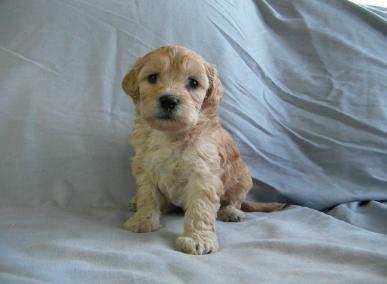 Gender: Male Weight (at 4 1/2 weeks old): 2 lbs 0 oz. 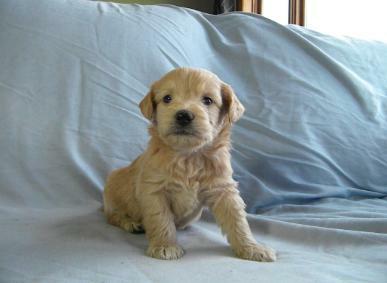 has a beautiful, wavy blonde coat with a white chest and belly. 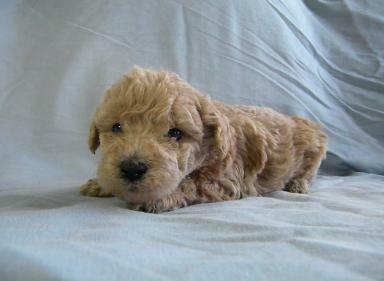 Gender: Male Weight (at 4 1/2 weeks old): 1 lb 14 oz. is always up to play a game and meet new friends. doing. Sam has a beautiful, soft coat with nice highlights. Gender: Female Weight (at 4 1/2 weeks old): 1 lb 8 oz.